It’s undeniably the hardest job in British politics: Leader of Her Majesty’s Opposition. The success rate is mixed. There have been nineteen Opposition leaders since 1945, by my count. Of these, only eight, including the current one, Ed Miliband never enjoyed a stint as Prime Minister, the others being Hugh Gaitskell, Michael Foot, Neil Kinnock, John Smith, William Hague, Iain Duncan Smith and Michael Howard. It should be noted four of the leaders who made it to Downing Street (Home, Callaghan, Major and Brown) had already been PMs before they, all fairly briefly, led in Opposition having lost General Elections. It should also be noted that while no British Prime Minister has died in office since 1865, two Opposition Leaders have died just in the last fifty years. Both were in their fifties. The job is undeniably horrendous. It attracts few of the perks, publicity, status or kudos of the premiership but invites plenty of scorn. Opposition leaders are at an automatic disadvantage in Prime Minister’s Questions and in General Elections which the PM gets to choose the date of. No one did better in the post-war era than Tony Blair during his three years as Opposition leader. Although he was undeniably helped by the fact, John Major’s government was clearly disintegrating before the nation’s eyes, Blair never put a foot wrong, clearly outflanking the beleaguered PM at every turn. No one has done worse, meanwhile, than the current Secretary of State for Work and Pensions Iain Duncan Smith who “led” the Tories from 2001 to 2003. His appalling croaky Commons performances, lamentable radio interviews (he attempted to laugh his way through one notorious Today interview) and ludicrous conference speeches (“The quiet man is here to stay and he’s turning up the volume!”) soon saw him overthrown by the same disgusted party which had previously elected him. Ed Miliband is happily doing much better. Early tabloid nicknames “Red Ed” never really stuck nor did claims that he was a sop to the unions (he has held a firm line on the unions since his acceptance speech). The charge that he was young and inexperienced (he was older than Cameron when both men became party leader and more experienced than Cameron or Clegg were when both became PM and Deputy PM) never stood up to scrutiny either. Polls suggest the public liked his bold stance against News International. Indeed, unlike Cameron, the more they see of him, the more they seem to like him. Labour now commands a double digit poll lead over the Tories. 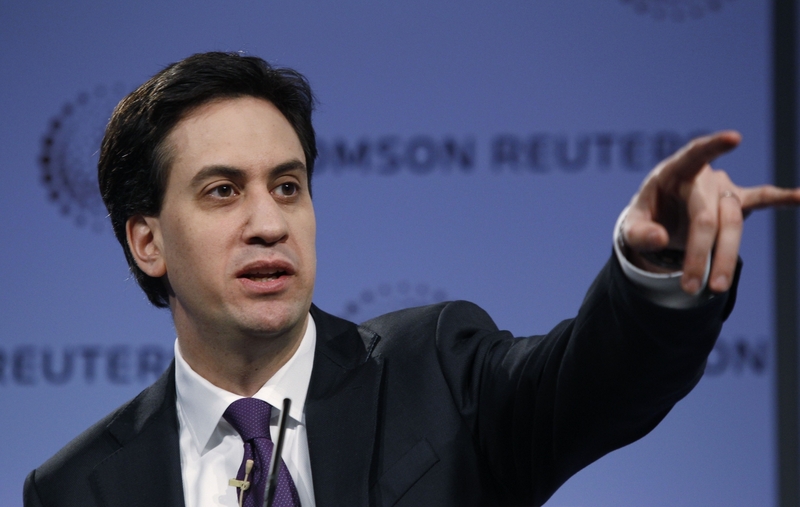 With the General Election likely to be in 2015, the next two years will clearly be crucial for Miliband and Labour. After that, it seems only too likely Mr Cameron will be enjoying his second stint in Opposition.